It’s time to bid farewell to Dubrovnik and head north to Drvenik and, ultimately, the island of HVAR. There are many wonderful islands to choose from in southern Dalmatia – Korčula boasts an attractive Old Town, Brač has some lovely beaches and remote Vis encapsulates traditional island life, but stunning Hvar is the pick of the lot, combining all of the above with charming style. Regularly cited as one of the sunniest spots in Europe, Hvar has real beauty, in its turquoise coves, honey-coloured stone houses and fields of lavender, and is home to an incredible five UNESCO World Heritage sites, the most of any island in the world. It’s a pleasant enough drive up the coast from Dubrovnik, following the D8 out of town and all the way to the little ferry port at DRVENIK; the journey is around 125km in total (about 2 hours 30 minutes, depending on traffic) and briefly crosses into Bosnia and Herzegovina en route for the run through Neum (have your passports ready). If you’re coming from Mostar (in which case this will be your Day 4), follow the E73/M17 towards Split, crossing back into Croatia at Metković and then picking up the D8 just after Opuzen, from where it’s around 40km to Drvenik; this route is just under 95km in total (about 1 hour 45 minutes or so, depending on the time it takes to get through passport control). From Drvenik, Jadrolinija car ferries make the 35-minute crossing to SUĆURAJ, on Hvar’s eastern tip, fairly regularly; there are convenient sailings at noon and 1.45pm, but you can check the complete schedule here (the fare for a family of 4 in an ordinary saloon is around 130kn in the shoulder season). Arriving on Hvar will feel like you’re starting another chapter of your trip. Kick things off by following the narrow main road (the D116) out of Sućuraj and for 50km through the island’s scrubby eastern finger, past olive trees and drystone walls, to GREBIŠĆE BEACH, signed right off the road just before Jelsa (you can park in the Grebišće Campsite). This is one of the most family-friendly beaches on Hvar, with a couple of thin crescents of sand (rare for Croatia) that catch the afternoon sun and a shallow, sandy seabed. TOP TIP Hvar, and Hvar Town in particular, has a bit of a reputation as a party island, a celebrity hangout where flotillas of revellers drop by during their booze-soaked Yacht Week floats around the Adriatic, though the action is concentrated around Hvar Town, mainly in the evenings, and is limited to July and August. That said, the BEST TIME TO VISIT HVAR therefore is in the May or October half terms – the weather is great and the beaches are quieter (the sea is warm enough to swim in), and, in May, the fields are already cloaked in lavender. 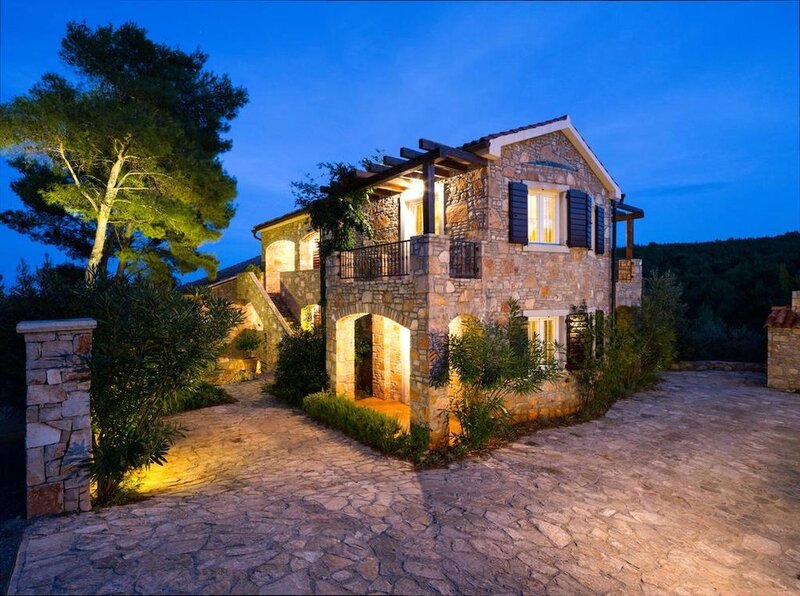 Come to Hvar in May or October and you’re also more likely to land a 3-night stay in a villa as well – villa rentals are more often than not a one-week minimum in July and August.